Julie Hoover’s pattern is quite appropriately named “Chaleur” (warmth). 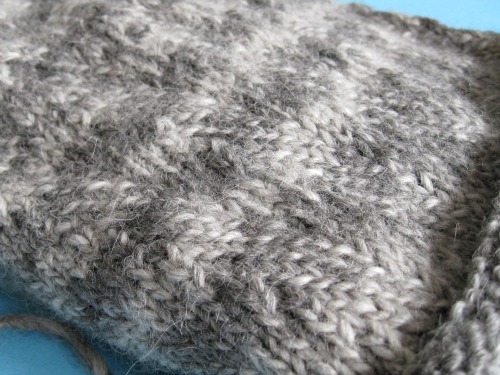 It’s knit in one piece and features a subtle herringbone pattern. Actually, the pattern is so subtle ( and my photography skills so poor) that you can’t even see it in the picture above :). I used Cascade’s Eco Duo yarn. It’s an undyed mix of 30% merino wool and 70% baby alpaca. 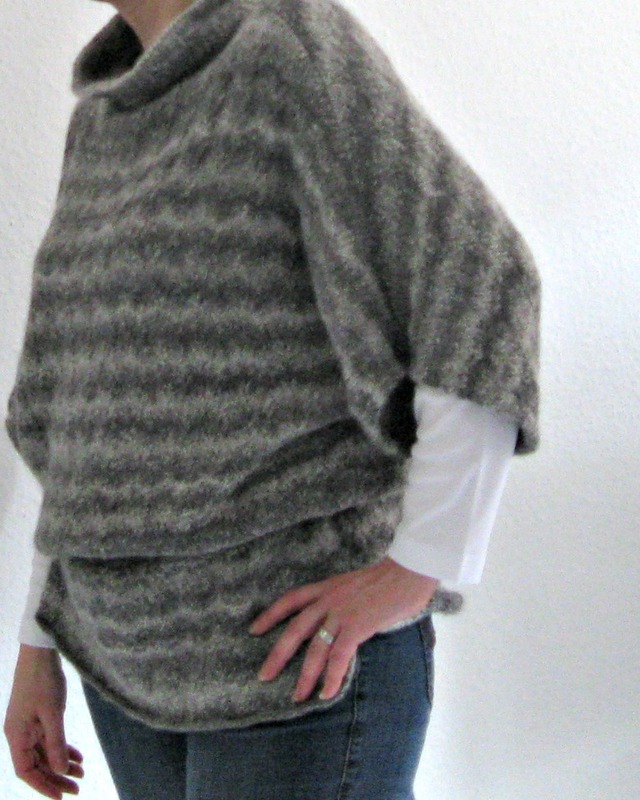 I love this tunic; it feels like wearing a super soft, wonderfully warm cloud. Too bad I didn’t wash and block my gauge swatch, because the tunic grew a lot in length when I blocked it. So now I’m wearing it with a belt.